Sophy Hedge, the artistic daughter of the town's minister, falls in love with Gideon Birdsall, a driven theology student assisting her father with a Hebrew lexicon. Sophy is drawn to Gideon's intellect, passion, and spiritual nature, while Gideon glimpses in her a free soul unbound by convention. Yet Gideon's restlessness after they wed worries Sophy, and she finds his friendship with Leander Solloway, the charismatic new schoolmaster, a cause for anxiety. As the men immerse themselves in Gideon’s mystical theories, Sophy translates her fears into secret paintings. 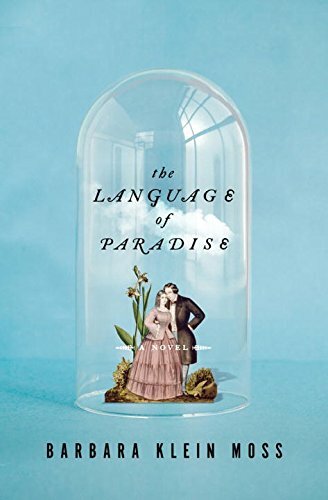 When Sophy becomes pregnant, Gideon and Leander construct a faux Eden in a greenhouse as part of a daring experiment to discover the language of paradise―the tongue Adam spoke when he named the creatures of the earth. Sophy must decide whether to live and paint in the world her husband has made or escape to save her child and herself.